Moscow Parks and Recreation staff and T.R.E. Tree Services were shadowed Monday by protesters condemning the trimming of 18 trees along Washington Street to make room for the transport of two loads of refinery equipment by Imperial Oil/ExxonMobil up U.S. Highway 95 and Interstate 90 to its Kearl Oil Sands Project in Alberta, Canada. 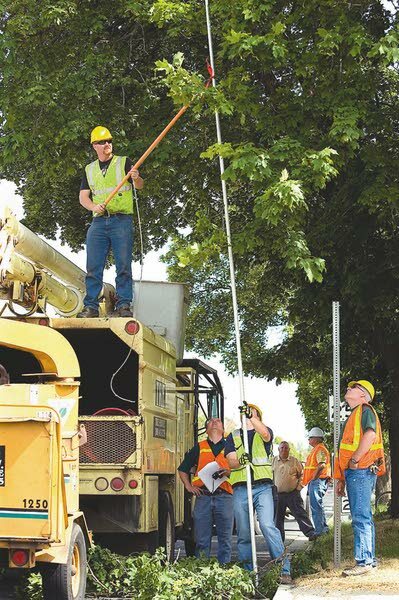 T.R.E., contracting with the oil company, was granted the tree trimming permit Friday by Parks and Recreation, which oversaw the work that started at 9 a.m. Monday and finished around 1:20 p.m. There are two commercials on television touting how we “have all the natural gas we need right here in North America.” We probably do, but at what cost to our rivers, land and air? We all follow the megaloads that are going and proposed to go through our area. This equipment is going up into northeastern Alberta and to the Athabasca oil sands. Why there? This is where Trans-Canada Oil is mining the tar sands. It is mined in two ways: Either by strip or open pit mining, or injecting steam deep into the earth to make the tars increase their fluidity, so that they can be pumped to the surface. More than 200 megaloads of Korean-made oil equipment bound for Canada should be given the go-ahead to roll across northern Idaho’s scenic U.S. Highway 12, an Idaho state hearing officer ruled Monday. Retired state Judge Duff McKee, in a 63-page ruling, discounted every protest against the megaloads from a group of residents and business owners along the twisting, two-lane highway, from safety to business interruptions to environmental harm. His ruling is a recommendation to the Idaho Transportation Department; there’s still an opportunity for motions for reconsideration, a process that could take weeks more. “I conclude there was no error in procedure on the part of ITD in the issuance of the permit in this case, or any other basis to interfere with the executive determinations of the department in issuing the permits in this case,” McKee wrote in his ruling. Imperial Oil/ExxonMobil wants to ship more than 200 giant loads of oil field equipment across the Idaho highway, en route from the Port of Lewiston to the Alberta oil sands. The loads are so large that they’ll block both lanes of the two-lane road, creating a rolling roadblock. COEUR d’ALENE – En route to northern Alberta, two “megaload” tractor-trailers will soon be passing through Coeur d’Alene. And despite assurances from oil company spokesmen, local environmentalists are concerned about accidents and delays. 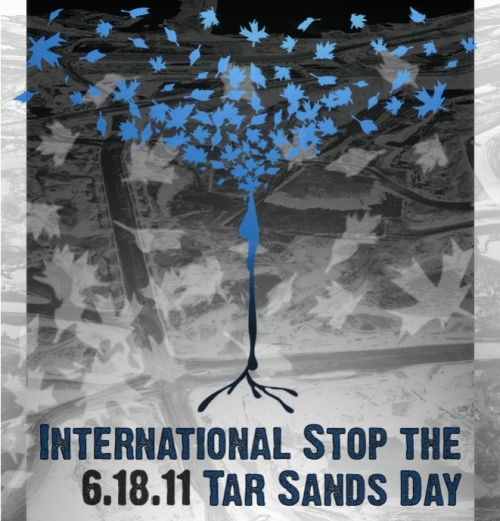 One day after the Idaho Transportation Department green lighted two mega-loads to travel through Idaho toward the Kearl Oil Sands in Alberta, protests against the controversial Canadian project will be staged across the globe. Scores of protests are scheduled for London, Copenhagen, Vienna, 11 Canadian cities, and 25 cities in the United States. 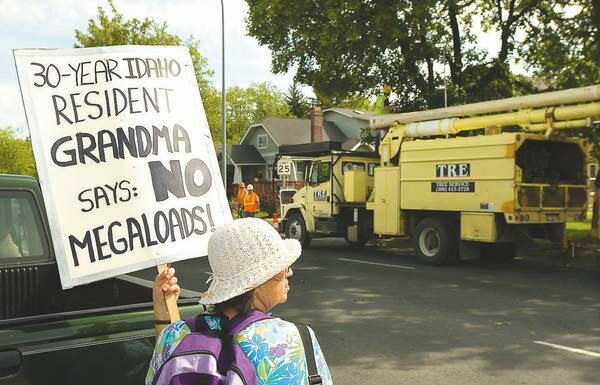 A group calling itself Wild Idaho Rising Tide (WIRT) will be protesting in Moscow, where at least two of the mega-loads will roll by later this month. Melina Laboucan-Massimo, a member of the Lubicon Cree First Nation and a climate and energy campaigner with Greenpeace, describes the impacts of oil and gas developments and the recent oil spill in the traditional territory of the Lubicon Cree in northern Alberta. At the June 15, 2011, special topic session of the Sustainable Environment Commission (SEC), Chair Scott Fedale requested that you circulate to SEC members the attached comments respectfully submitted by Wild Idaho Rising Tide (WIRT). City Councilman Tim Brown also expressed his interest in obtaining an electronic version of this document. We ask that you also share this email message, attachment, and following video link with not only SEC commissioners but with all City Council members and our mayor, Nancy Chaney, as well as city staff who are assessing oil company proposals to transport oversized loads of tar sands equipment (“megaloads”) along Highway 95 through Moscow to the Kearl Oil Sands Project in northern Alberta. 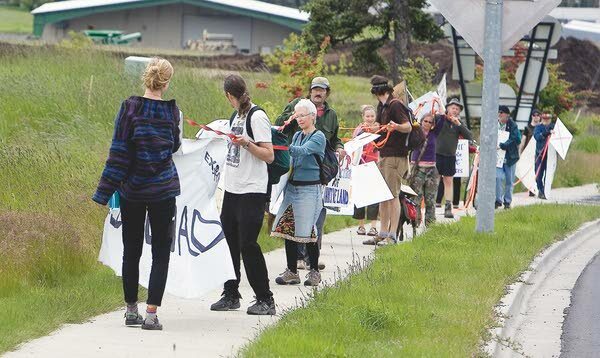 MOSCOW – Activists from Wild Idaho Rising Tide will conduct a rally Saturday against megaloads. Regional residents are invited to join WIRT for the rally at 10:30 am at the gravel parking lot just north of the Palouse River Drive and U.S. Highway 95 intersection. Organizers plan to employ banners, signs, musical instruments, voices, and a megaload-sized rope outline. The group will make a two-mile march along the length of the megaload route through Moscow. They can be joined anywhere along the way. The group will conclude its march at the gravel lot on North Main Street at about 12:30 pm. At the request of Mayor Chaney, and in accordance with our mission as a city commission (“to solicit advice and information about sound environmental management practices for promoting the public health and safety of the citizens of Moscow”), the City of Moscow’s Sustainable Environment Commission is holding an additional opportunity for public input on the potential impact of the megaloads passage through Moscow on our environment–people, infrastructure, businesses, and community life. The meeting will be conducted as a Public Forum for the SEC to hear from a broader public prior to the SEC making any recommendations to the City Council on this issue. In an effort to hear from as many people as possible, we plan to limit individual statements to 3 minutes. We realize this is a short period of time, but we are choosing to err on the side of hearing from as many citizens as possible during our 2-hour time period. The hearing will take place on June 15, in the City Council Chambers, from 7-9 p.m.